I love basics. Don't you? I love basics with just a touch of edge; and I can't really find that in stores for my little one. 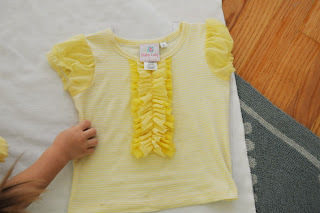 So I decided to make a simple top for the little one myself. I picked up a fabulous white jersey knit, a zipper, and some bias tape and went to work. I must say that my little one LOVES this top and skirt apparent from her working-the-camera-super-model-poses. (No, not one of these poses were prompted. : )) I also made the skirt which I'll share more details on later. Unfortunately, I can't say she loves everything I make. She has quite a mind of her own so I never know if she will wear what I make. But this shirt she would wear everyday if I let her. Jersey Knit fabric, about1 yard for an adult or about 1/2 yard for a child (3 T). 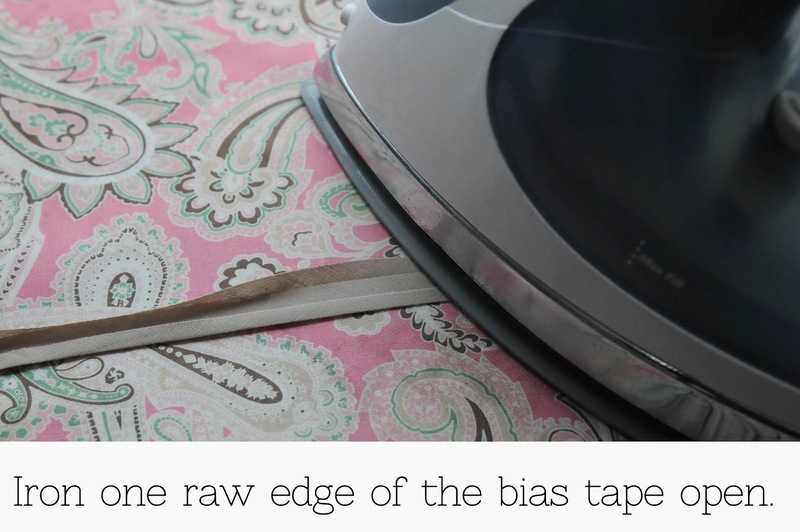 1/2 inch single fold bias tape in a coordinating color. Small amount of iron on interfacing. Well fitted t-shirt to use as a guide. Click below to expand the instructions! 1. Create your pattern pieces. Use a well fitted shirt to trace the front and back of your shirt. For the sleeves, cut a shape like the one below. 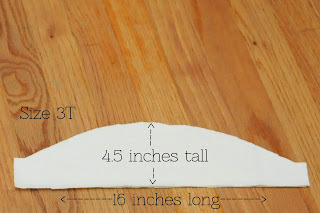 The dimensions are for my 3 year old; you can make your sleeves longer or shorter, wider or more narrow, the only trick is be sure that the sleeve is longer then your armhole diameter. 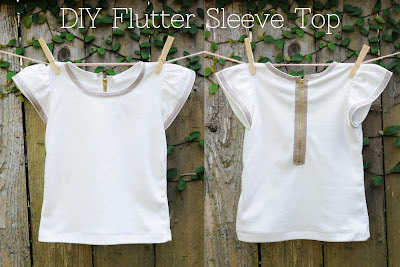 Also keep in mind, the longer the sleeve the more flutter it will have. 2. With right sides together, sew the shoulder seams and the side seams. 3. 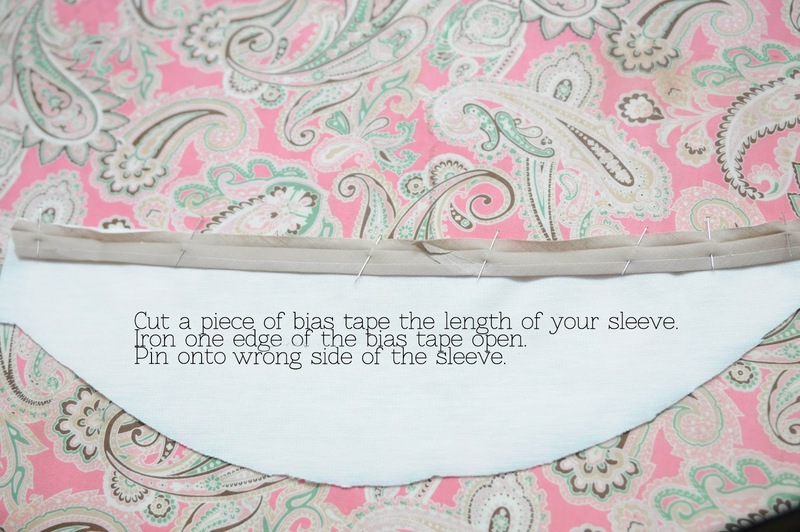 Now let's add the bias tape to your sleeves. 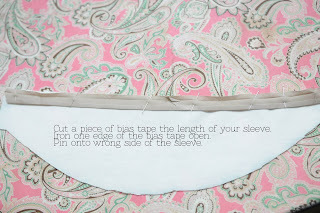 Cut a piece of bias tape the length of your sleeve. 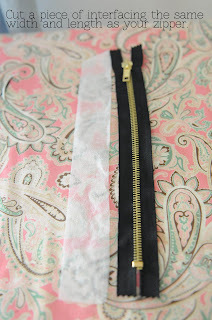 Lightly iron one edge of the bias tape open (you want to still be able to see the fold line as a guide). 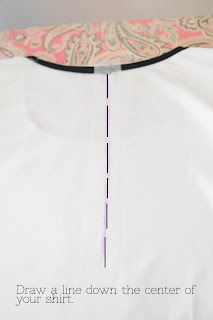 Pin the bias tape onto the wrong side of your sleeve, raw edges lined up. 4. 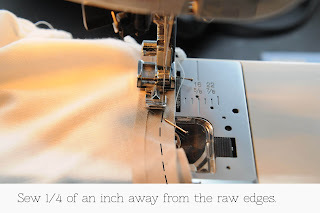 Using the fold line as a guide, sew 1/4 inch away from the raw edge. 5. 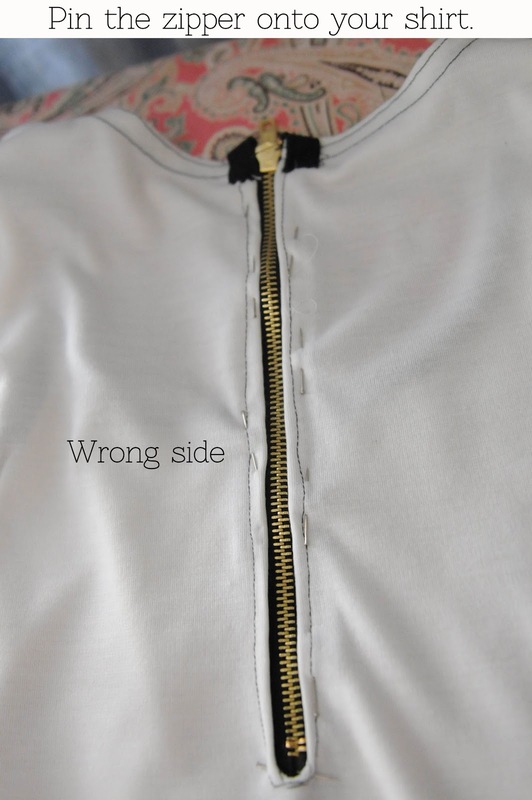 Flip the sleeve to the right side. Fold the bias tape over to the right side. Iron in place. 6. Top stitch along both edges of the bias tape. 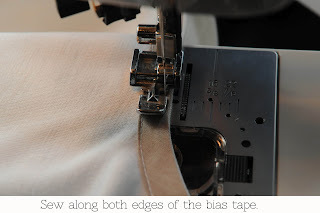 Sew as close to the edge of the bias tape as you can. 7. 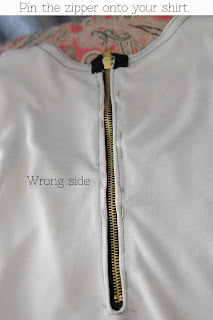 With right sides facing, sew the two short edges of your sleeve together. This is your underarm seam. 8. 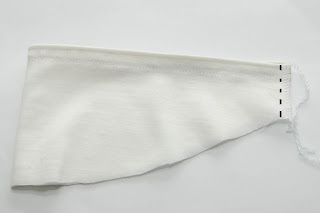 Starting a few inches away from the underarm seam, sew two rows of gathering stitches, one 5/8 of an inch from the raw edge curved edge and one 1/2 inch away from the raw curved edge. Just as a note, I started and ended my gathering stitches 3 inches away from the underarm seam. 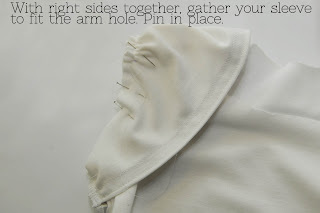 Using a fabric marker, mark the midpoint of the long curved edge of your sleeve. 9. Time to pin your sleeve onto your shirt. Turn your shirt so that it is right side out. 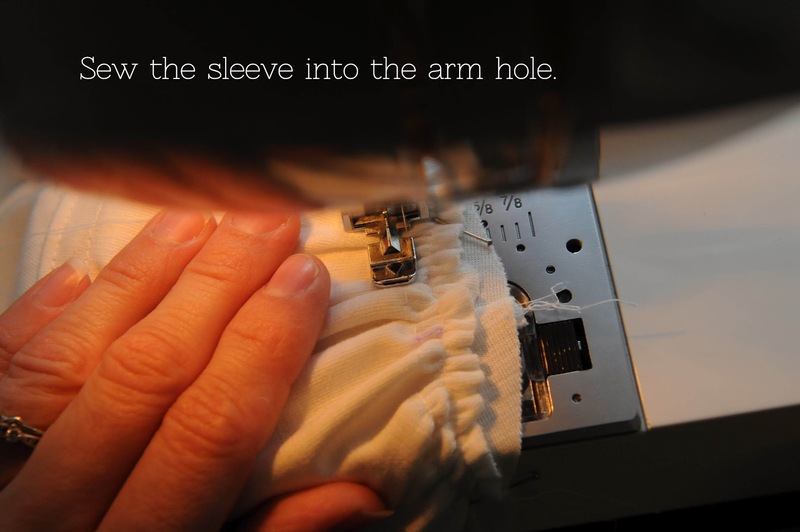 Turn your sleeve so that it is inside out. 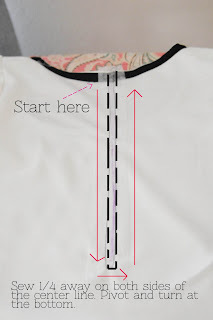 Line up the midpoint of your sleeve (you marked this in step #8) and the shoulder seam. Pin together. 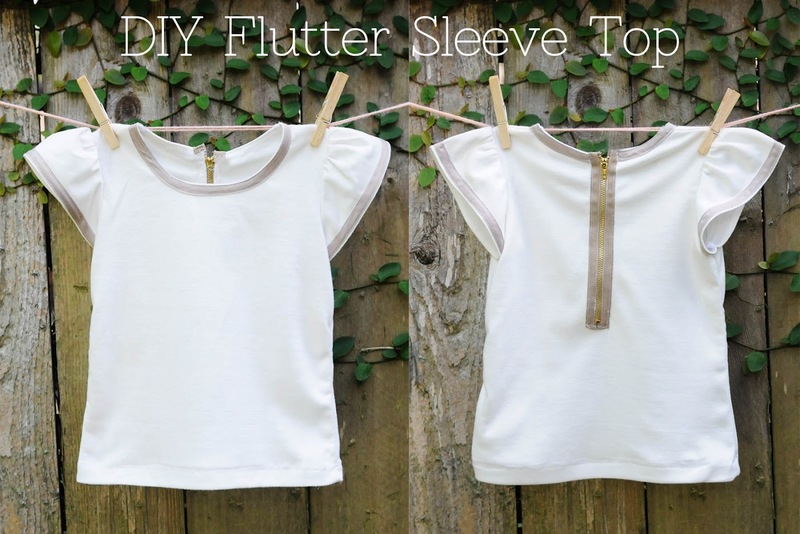 Now line up the underarm seam of your sleeve and the side seam of your shirt. Pin. 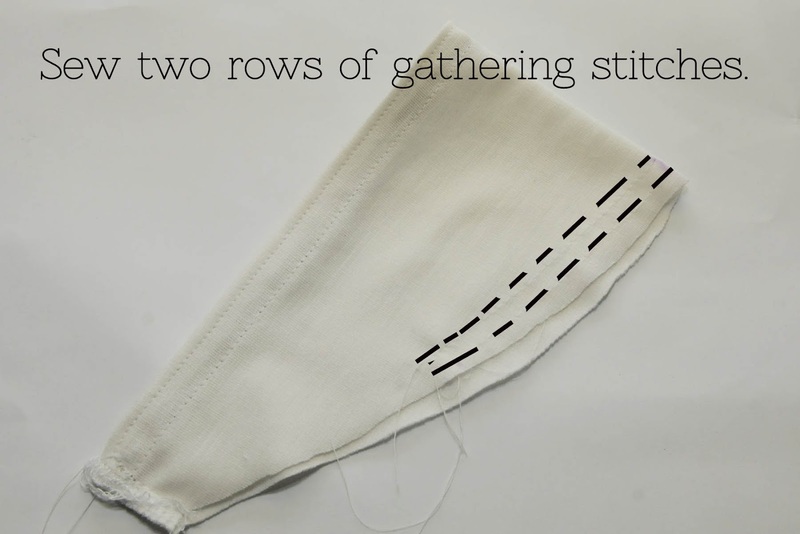 Gather the sleeve to fit around the armhole by gently pulling both gathering stitches. Pin the sleeve to the shirt. 10. Baste the sleeve onto the armhole using 5/8 inches as a seam allowance. 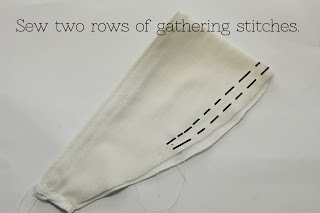 To avoid wonky gathers, when sewing the gathered part of the sleeve, gently smooth the gathers out with your hand as you go. Check that your sleeve is sewed on properly. Now sew in place. 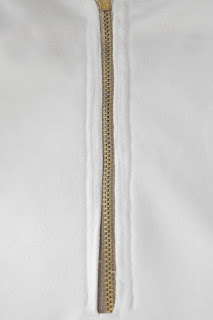 I like to sew a second line 1/4 away from the seam for durability. If you want you can also serge raw edges for a clean finish. 11. 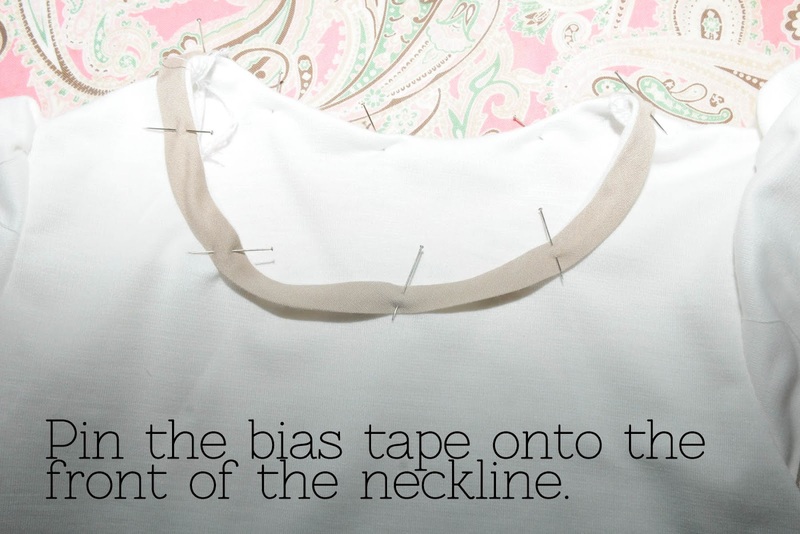 But a piece of bias tape an inch or so longer then your neckline. Iron one raw edge of the bias tape open. (Again, be sure you can still see the fold line this will be your sewing guide in the next step). 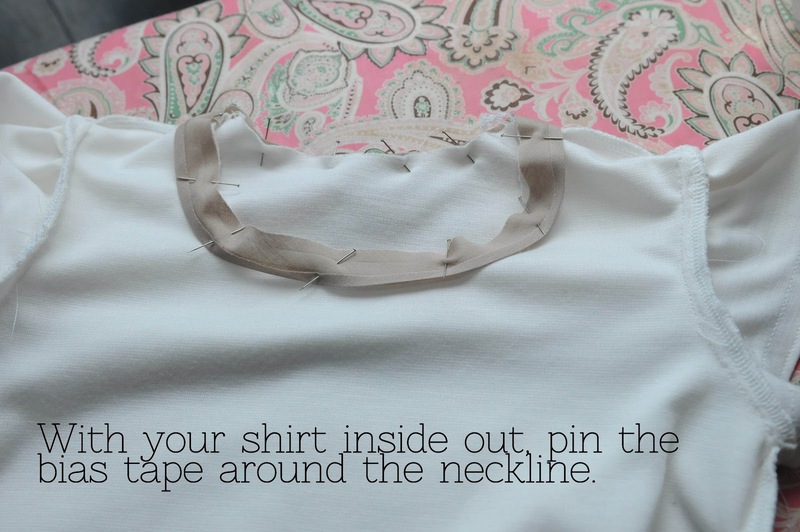 Turn your shirt inside out. Find the mid point of the back of your shirt. At the midpoint, start pinning the bias tape to the neckline. Raw edges lined up. 12. 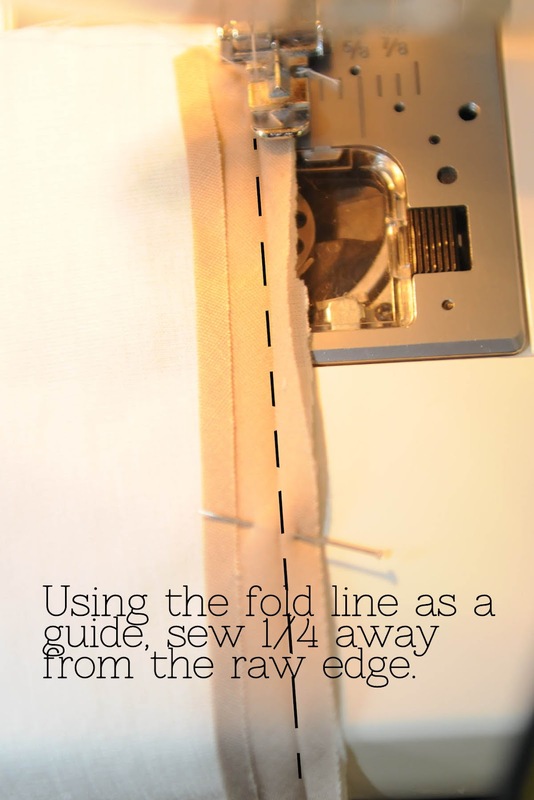 Using the fold line as a guide, sew 1/4 inch away from the raw edge. 13. Turn your shirt right side out. 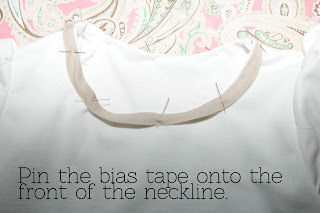 Roll the bias tape to the front of the shirt. 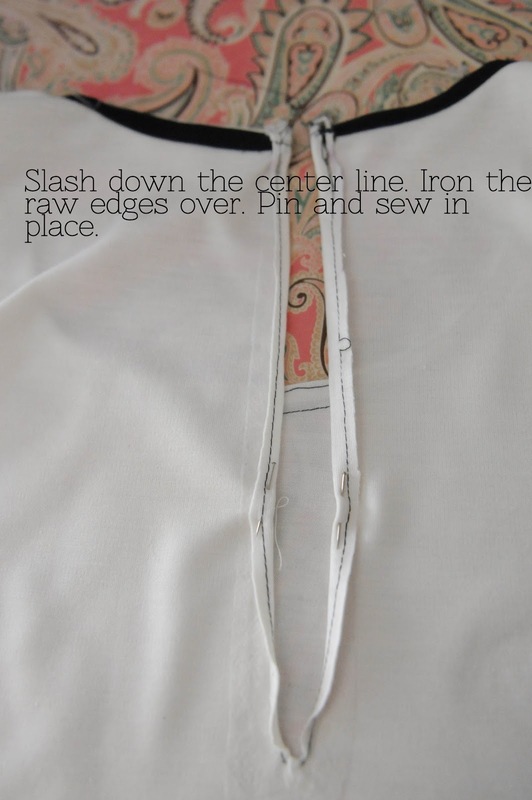 Pin onto the front of the neckline. 14. 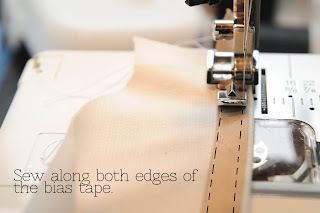 Sew along both edges of the bias tape. Sew as close to the edge as you can. 14. 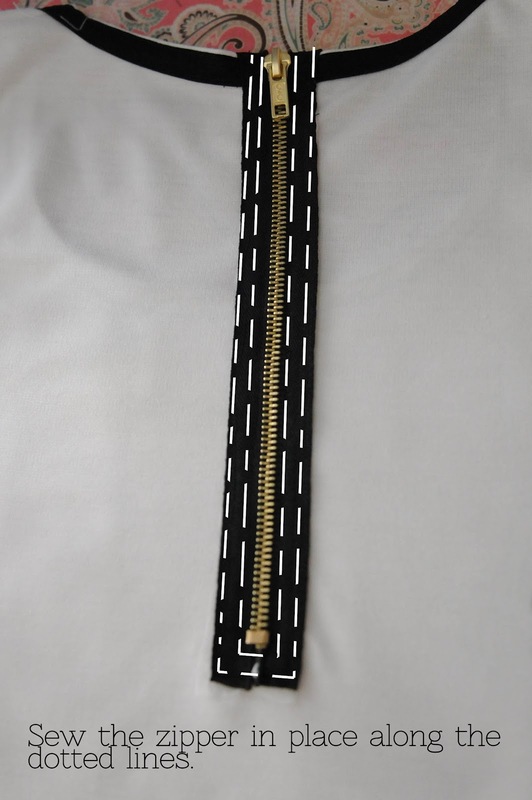 Cut a piece of iron on interfacing the same width and length as your zipper. 15. Turn your shirt so that it is right side out. 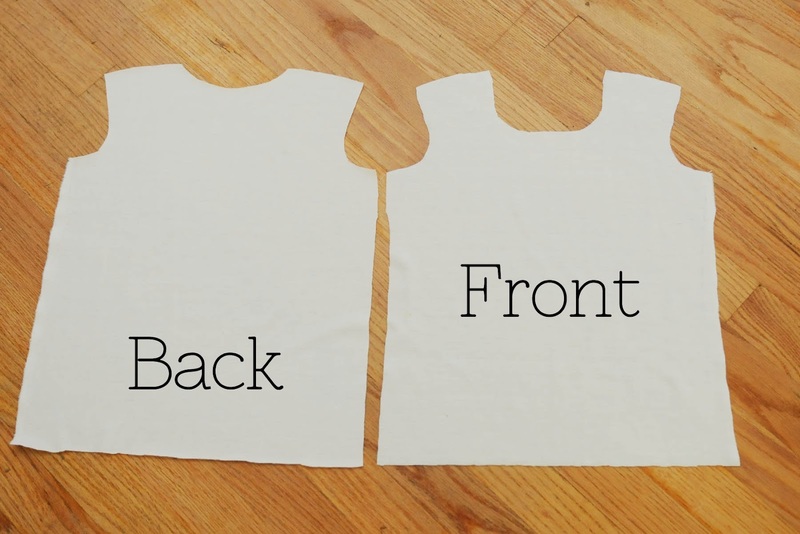 Find the mid point of the back of your shirt. 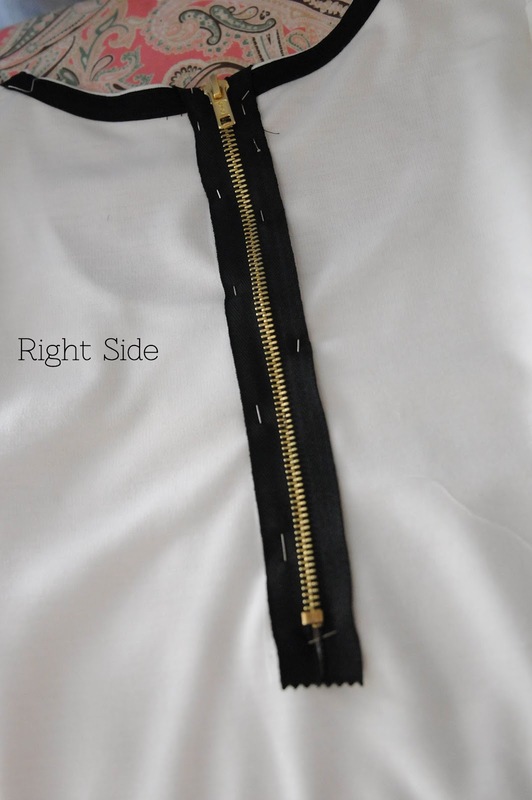 Draw a line as long as your zipper down the center of your shirt. 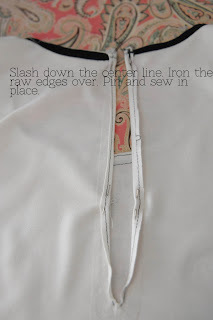 Iron the interfacing centered on that line. 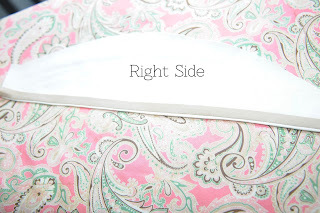 Remember you should be doing this on the right side of your shirt! 17. With scissors, Slash down the center line. 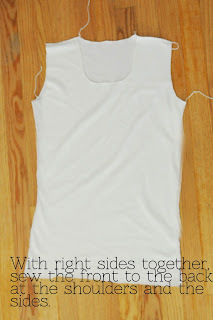 Iron the raw edges over to the right side of your shirt. Pin and sew in place. 19. 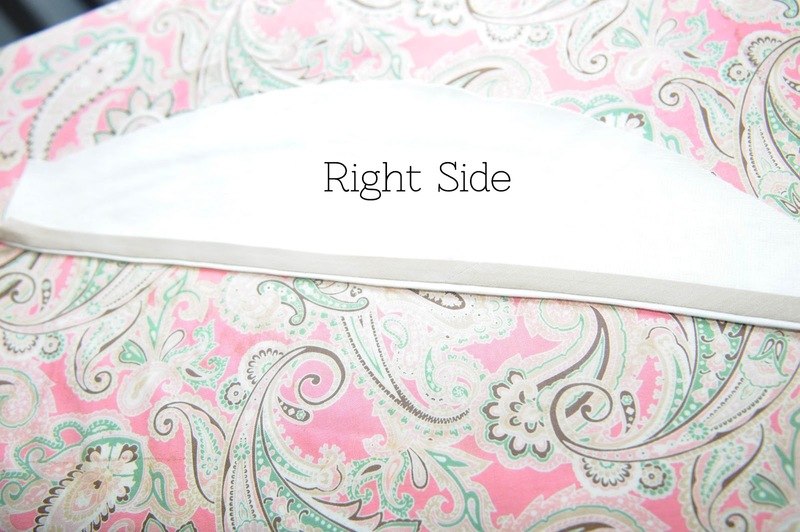 With your shirt on the right side. You will sew two lines around your zipper. 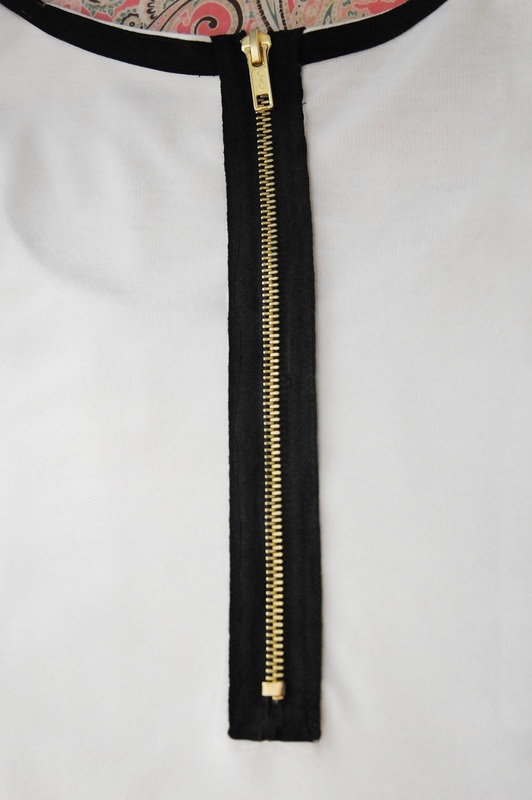 The first should be 1/4 away from the zipper edge. 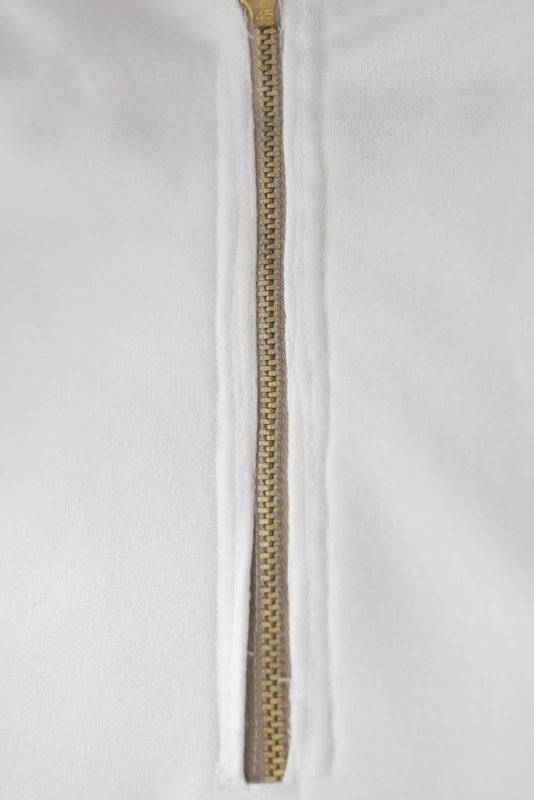 The second should be as close to the zipper teeth as you can. I like the biased tape on the sleeves and you make a zipper look easy. Love the poses too. I had no clue you made this too! Great job and once again I LOVE her pose! She is so stinking cute!